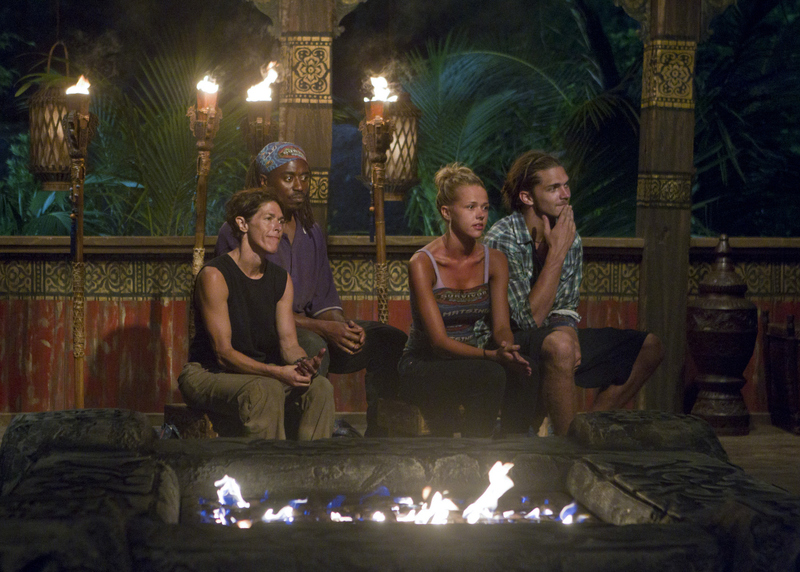 Denise Stapley, Russell Swan, Angie Layton and Malcolm Freberg of the Matsing Tribe during Tribal Council on the third episode of Survivor: Philippines. #Survivor. Photo: Monty Brinton/CBS© 2012 CBS Broadcasting Inc. All Rights Reserved.